Etton Parish Council is usually consulted on planning applications. East Riding of Yorkshire Council will take our views into account when considering the application, but they must also consider statutory planning guidance and the views of other statutory organisations and residents. 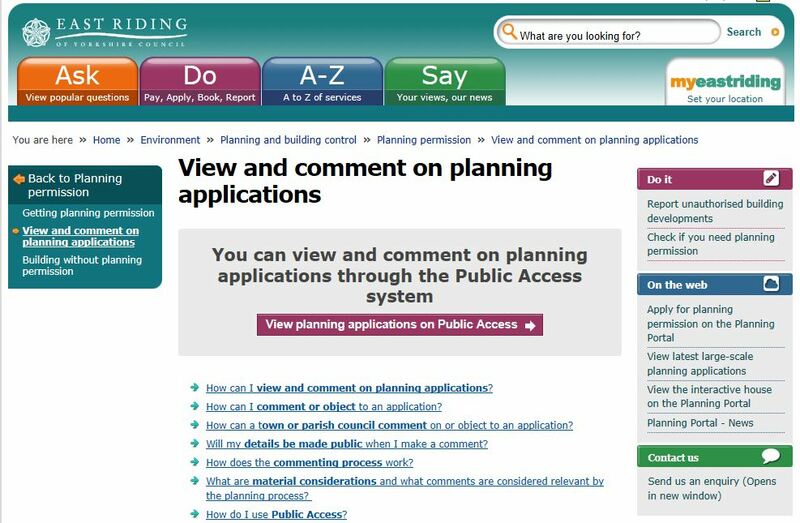 You can read our responses in our meeting minutes or on the East Riding of Yorkshire Council's planning portal.